* Medical Director Guarneri Integrative Health, Inc.
Board-certified in Cardiovascular Disease, Internal Medicine, Nuclear Cardiology and Integrative Holistic Medicine, Mimi Guarneri, MD, FACC, ABOIM is President of the Academy of Integrative Health and Medicine (AIHM) and the Past President of the American Board of Integrative Holistic Medicine (ABIHM). She served as Senior Advisor to the Atlantic Health System for the Chambers Center for Well Being. Dr. Guarneri currently serves on the Founding Board of the American Board Physician Specialties in Integrative Medicine, and is a Clinical Associate Professor at University of California, San Diego (UCSD). Dr. Guarneri is Co-founder and Medical Director of Guarneri Integrative Health, Inc. at Pacific Pearl La Jolla in La Jolla, California, U.S.A. since 2014. She was an English Literature major as an undergraduate at New York University. Her medical degree is from SUNY Medical Center in New York, where she graduated number one in her class. Dr. Guarneri served her internship and residency at Cornell Medical Center, where she later became Chief Medical Resident. She served cardiology fellowships at both New York University Medical Center and Scripps Clinic. She is a Fellow Member of the American College of Cardiology, Alpha Omega Alpha, and the American Medical Women’s Association. Dr. Guarneri co-founded the Scripps Center for Integrative Medicine and served as Medical Director for 15 years. She began her career at Scripps Clinic as an attending in interventional cardiology, where she placed thousands of coronary stents. Recognizing the need for a more comprehensive and more holistic approach to cardiovascular disease, she pioneered the Scripps Center for Integrative Medicine where state-of-the-art cardiac imaging technology and lifestyle change programs are used to aggressively diagnose, prevent and treat cardiovascular disease. Dr. Guarneri then co-founded Guarneri Integrative Health, Inc. and Pacific Pearl La Jolla where she maintains her clinical practice and serves as Medical Director to a team of experts in Conventional, Integrative and Natural Medicine in La Jolla, California. Dr. Guarneri is author of “108 Pearls to Awaken Your Healing Potential” (Hay House, 2017) and “The Heart Speaks” (Simon & Schuster, 2007). She is co-author of the book, “Total Engagement: The Healthcare Practitioner’s Guide to Heal Yourself, Your Patients & Your Practice,” (Changewell, 2014). She also is the professor of The Great Courses video/audio series, “The Science of Natural Healing.” Dr. Guarneri and her work have been featured on numerous television shows such as NBC Today and PBS, among others. She also was featured in a 2-part documentary, “The New Medicine,” from PBS. 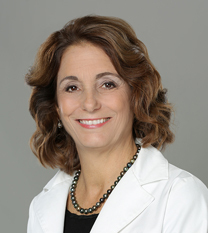 Dr. Guarneri has been recognized for her national leadership in Integrative Medicine by the Bravewell Collaborative and has served as chair of the Bravewell Clinical Network for Integrative Medicine. In 2009, Dr. Guarneri was honored as the ARCS Scientist of the Year (Achievement Rewards for College Scientists). In 2011, Dr. Guarneri was the winner of the Bravewell Leadership Award which honors a physician leader who has made significant contributions to the transformation of the U.S. health care system. She received the 2012 Linus Pauling Functional Medicine Lifetime Achievement Award from the Institute for Functional Medicine and the Grace A. Goldsmith Award from the American College of Nutrition. In 2015, Newsmax Media ranked her as number six out of the top 100 physicians who embrace Integrative Medicine. She was honored in 2016 with the Lights of LightBridge Award from the LightBidge Hospice Foundation and also as 2016 Health & Wellness Pioneer from San Diego Magazine’s Woman of the Year Awards.